In this post, we are going to check out list of great applications that helps us to transfer our files from Android device and backup them at other sources. One of the major reasons for us to transfer files from our Android device to some other sources is to backup. Files like Contacts, Photos, Messages, Videos, Applications, Music and other multimedia files, etc., are generally considered as important files and they’ll be backed-up to avoid accidental loss of data. There are many exciting applications that help us to back-up our files while resetting our device or unexpected system crash or virus attack or whatever might be the reason. With each of these applications, we can upload photos from Android to Social Networking sites or transfer videos to our PC or other devices or transfer apps from Device to SD card or transferring contacts from Android to Gmail or other sources, and many more options are provided by these applications. It is one of my favorite applications that do almost everything that we’ve discussed above. It enables us to manage our Android device from our PC’s browser or other devices. It requires Wi-Fi connectivity if you want to transfer files between Android to PC. In case of Android to Android, either Wi-Fi or 3G works. But since, it can even transfer files like videos, photos, contact list, etc., which are generally larger in size, so it is always suggested to choose Wi-Fi. It creates a medium between Android to Computer or Android to Other Android device files. We also have file management options like edit, copy, move, delete, cut, share, rename, etc. This application gives you complete control over your Android Device. It is loaded with File Manager and File Transfer via Wi-Fi options. The UI is pretty simple and using this application you can store your files in our microSD card, or cloud storage options like Dropbox or Box, etc. Like AirDroid, it can copy, move, delete, rename, and create files and folders. You can also manage your files via FTP/HTTP servers; it can access other cloud storage services like Dropbox, Box.net, SkyDrive, etc., which means there is no need to have these applications installed in your device. Accessing our host PC from device itself, share files between devices using Wi-Fi connectivity and many more exciting features makes it one of the best file sharing application. If you are searching for dedicated photo transferring application from your Android to other devices, then Photo Transfer is the best option. This is one of the most prominent applications that save our time a lot and, it requires all the systems to connect with same Wi-Fi connection. 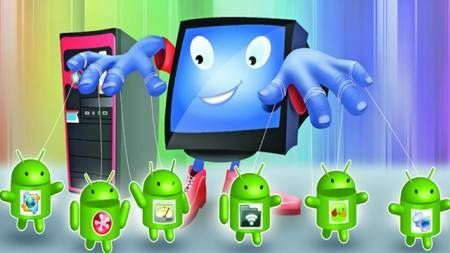 Using this application, we can not only transfer files between Android to Android and Android to Computer, but we can also transfer files between Android to iOS based devices like Macbook, Mac PC, iPhone, etc. Tesco Direct is the best place to know about which Mac is right choice for your requirements. This application is available with iPhone and iPad as well. So it allows us to transfer photos and videos between Android to iPhone/iPad and vice versa. It is one of the mostly used Android Application for transferring files. It uses FTP and OPP Technologies to transfer or receive files. It is loaded with highly secured objective that monitors all incoming Bluetooth connections and allows only authorized devices with a Pop-Up signal asking us whether to accept or reject access, in order to stay safe from virus or malware attacks and from hackers. Its algorithm is designed to search files with real speed and it can also search inside Zip, Tar, etc., files using its intelligent algorithm. These are the some of the best applications that helps us to share our files from Android to other sources in order to secure our data. Guest Post by Siddartha Thota, who is a Part-Time blogger and Android Fan. He blogs at GadgetCage.com.